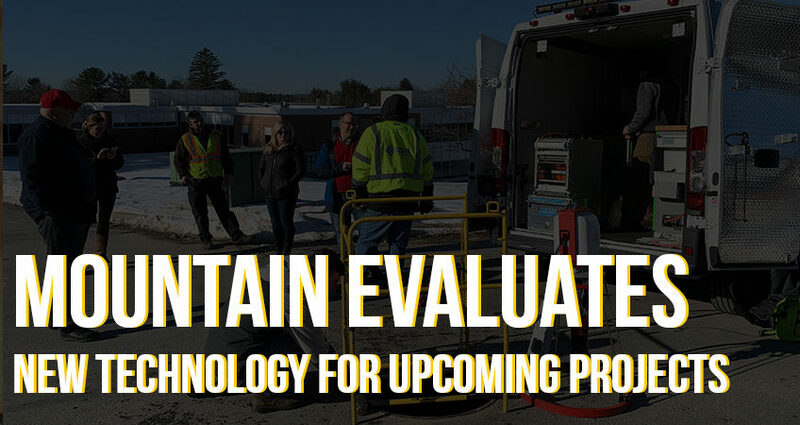 MOUNTAIN Evaluates New Technology Solutions for Upcoming Projects - MOUNTAIN, LTD. Staying on the cutting edge of technology is not always easy in the fast-changing world we live in today. MOUNTAIN prides itself on keeping up with current telecom trends, and above all else, our ability to take on any project that comes our way. 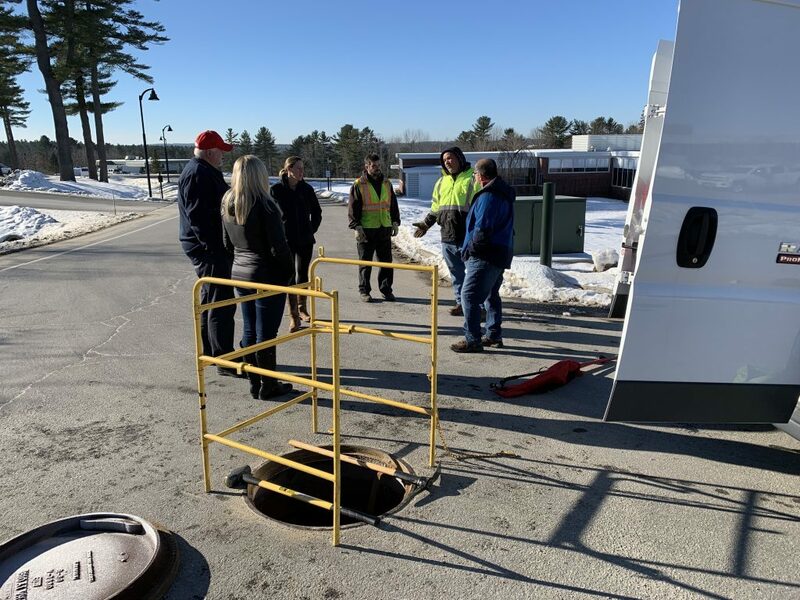 One of our new project managers in Maine was recently tasked with finding new technology to increase the efficiency process for typical underground telecom work. We were looking at several team make-ups to solve the issues of utility hole (UH) surveys. 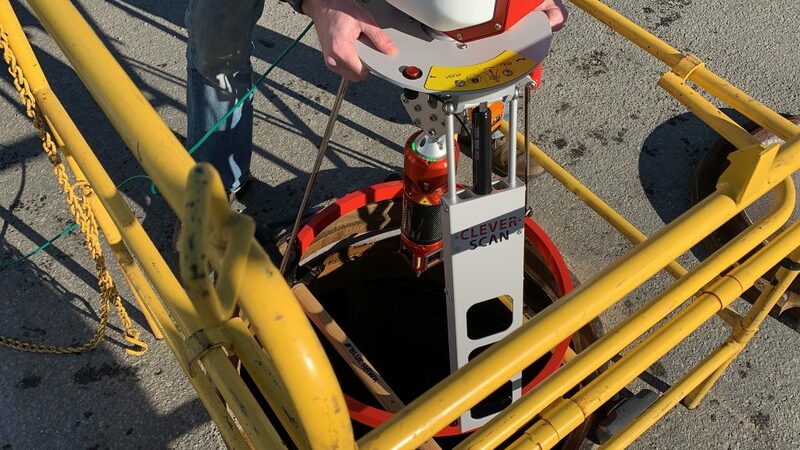 The traditional method of surveying utility holes is to have someone above ground monitoring gases that are inherent to this work and another person working underground to complete the survey. 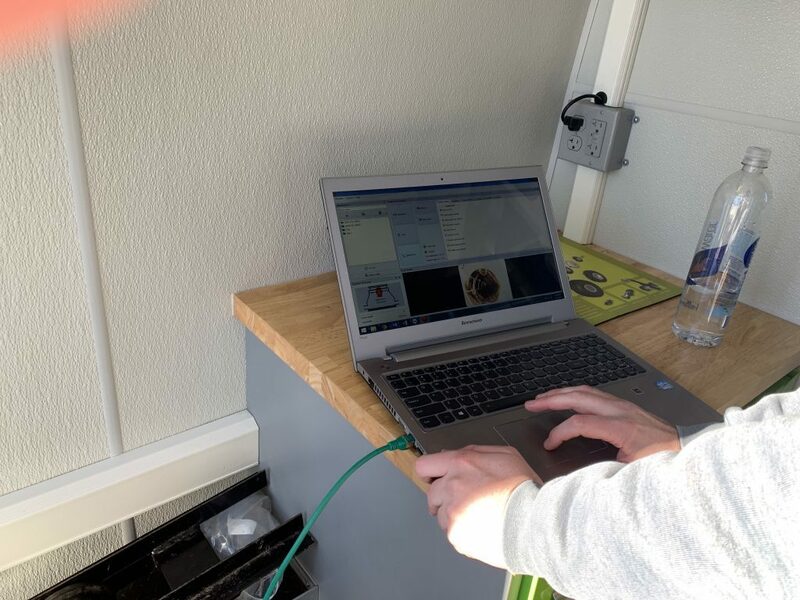 The survey consists of filling out a butterfly diagram to determine inventories of what exists in the UH and open / available passages (ducts) for future cabling. Other obstacles such as the need to pump out water into a truck, catch basin or nearby field can make this process difficult. 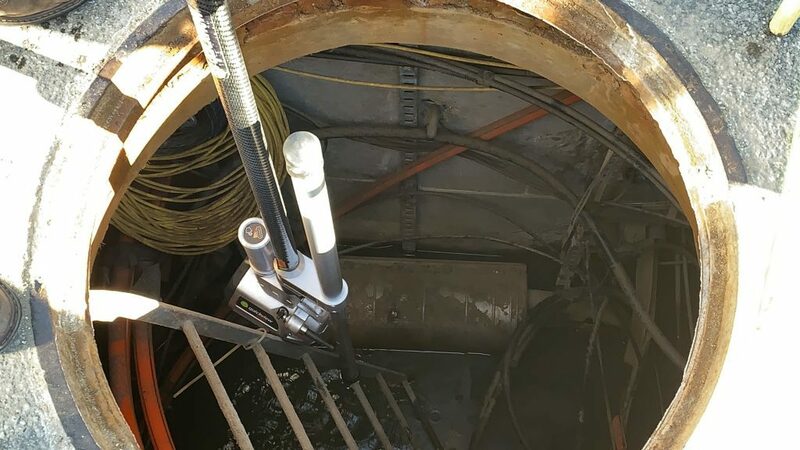 Out of this research, the PM team started looking for a different method to surveying these utility holes given the risks involved with doing the work manually. That is when the research began for cameras that had the capability to meet our goals. After sorting through some different companies that offer the technology, we found one that offered the lighting and zooming functions we were looking for to work above ground. After contacting the camera company, we set up a demo at the MOUNTAIN HQ in New Gloucester, Maine. 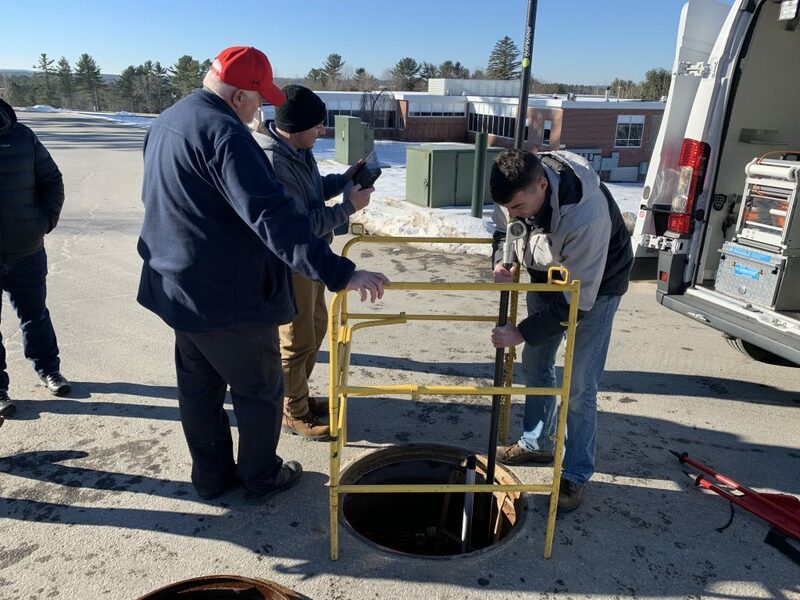 We worked with local maintenance to open one of the utility holes on our Pineland Campus. Several MTN staff were able to witness the camera in action and see the photos that were displayed. 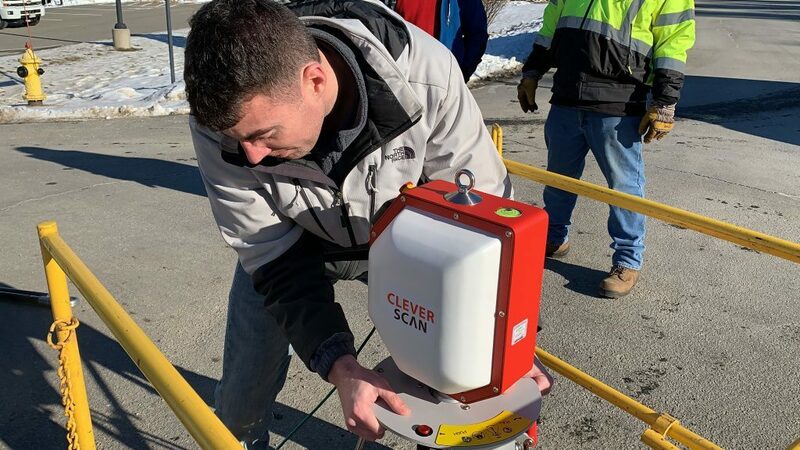 This automatic camera is able to take a full 360 degree photo so engineers can inventory the cabling that runs through the hole with an option to transfer data directly to CAD. 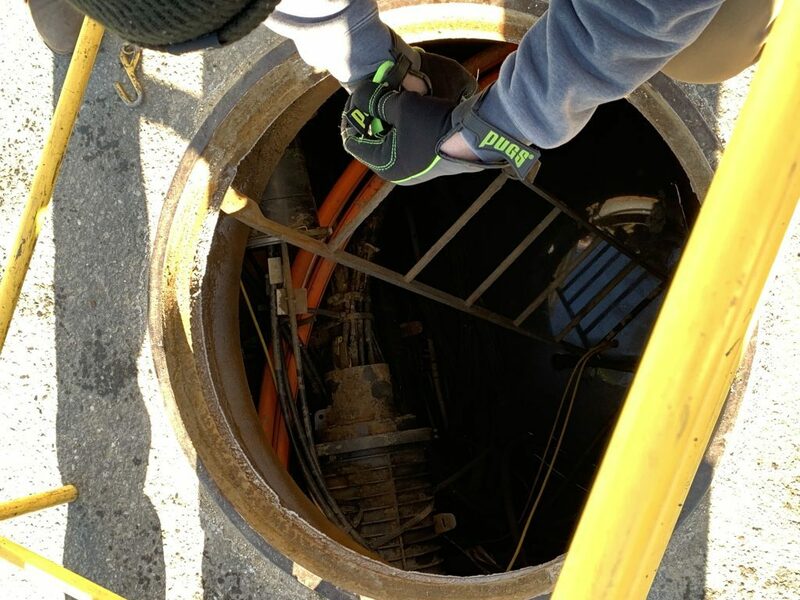 Although this would reduce the amount of time per manhole dramatically, certain details such as the manhole number were not visible without being able to pivot around cables. Given our needs, the tech company was able to demo another camera that would allow for manual operation that can send images to a tablet. Being able to evaluate new technology first hand at MOUNTAIN HQ was exciting. With new projects on the forefront, being able to provide clients with fast, efficient, and detailed engineering is important. Be on the lookout in the future for MOUNTAIN engineering project updates!